What to do when you Feel Overwhelmed?  See personalised wellbeing recommendations with a free Blisspot account. Sign up or Log in. At times, life feels like an overwhelming affair. There's too much to do, too much to think, too much to worry about. What can we do to fight that feeling? Sometimes life seems to be too much to bear. Some people feel overwhelmed by the constant rush and the many things to do. Others just can't stand the incessant murmur of their never-ending thoughts. Some, still, can't cope with their feelings of inadequacy or insecurity. They all try different solutions, among which maybe meditation or mindfulness could be tested, but that is often just not enough to counteract the feeling. Let us go over some of the causes of such feelings, first, to then study some possible tools and solutions. Too many things to do: most of us have grown up in cultures in which competition and success are paramount and the true measure of our value. As a consequence, we feel obliged to constantly aim at greater, higher goals. Being good is never enough, as excellence and supremacy are the only acceptable levels. This type of belief, inherited from our environment, pushes us to constantly seek more, do more, expect more of ourselves. There's a whole world to impress in front of us and that demands that we devote most of our time to doing things that will get us closer to our goal. Any free time we happen to find, we also use to pursue constant improvement. Too many thoughts: rumination starts in most human beings as a form of daydreaming. It can begin in childhood where quite a lot of time can be devoted to letting themselves get lost in their thoughts and disconnecting from reality. What soon becomes a habit is almost invariably paired with negative projections of that future, as we learn to worry about what may be or what may happen. Very few people ruminate about positive, happy things; most do about negative, worrisome or painful issues. Constant thinking about negative aspects quickly becomes a way of life and those who do this, find it difficult to change the pattern. Any form of rumination, be it focused on the past or the future, yields certain chemicals and sensations, to which our brain becomes addicted. Not having them can cause withdrawal-like symptoms and result in a permanent need to recreate them. Thus, the rumination continues, grows and becomes never-ending. Living in the past: when human beings ruminate, they usually do so focused on two different scenarios, and only those two: the past or the future. When in the past, they are trying to make sense of something that happened that still makes them feel guilty, sad or hurt. Not being able to change whatever happened then often overwhelms them and makes them feel powerless. Living in the future: when in the future, people are trying to ready themselves to face something that scares them, constantly asking themselves, 'what if...?' The more time they spend on those scenarios, the more often they need to return. People who spend so long in the future in their minds become overwhelmed by the wide range of possible difficulties and hurdles they may encounter and by the growing belief in their failure to succeed. Feeling inadequate or insecure: many people suffer from low self-esteem or insecurities which are the result of weak beliefs and convictions. When a person holds strong beliefs, there is no insecurity. It comes from uncertainty and doubt. Those who feel like they're not good enough or insufficient, tend to find it hard to cope with their circumstances and the reality around them, not because it is posing them too many challenges but because they think they are not capable or strong enough. Everything becomes complicated and one problem piles on top of the next until people feel completely overwhelmed. First of all, take a deep breath. Nothing will change if you can't stop for a second and focus on the task at hand. The more unfocused you are, the harder it will get. This applies to all the possible causes mentioned above: the more you worry, the more anxious you get and the less energy you then have to really face up to your problems. By the time you need to overcome them, you are exhausted. the less you learn for future, similar situations. engaging on any type of activity by totally submerging yourself in it through your 5 senses. Another important tool to be used is drastically stopping whatever you are doing and doing just the opposite or something completely different. For instance, if you're sitting and you suddenly realize you're ruminating or getting carried away into your mind, stand up and start moving. Or, if you're walking, just sit down anywhere or start dancing. Changing our actions forces us to be in the here and the now. Third, use the Kaizen technique. We often feel overwhelmed, as was already discussed above, when there's too much on our plate. We have important goals to reach and those feel unreachable. Kaizen implies reducing our goals to more manageable steps and taking those steps, one by one. So, if you for instance, need to exercise because the doctor told you to, running or cycling for one hour everyday might sound like an impossible task. Applying this Japanese technique, you would start by only doing it for 5 minutes the first day and celebrating achieving that little milestone. The second day you would do it for just 10 minutes, then celebrate it, and so on until reaching the desired 60 minutes. Celebrating the small steps is a fundamental part of the process because it helps us change our beliefs and boosts our self-esteem. Fourth, identify and question the beliefs that make you doubt yourself. In order to do this, I usually recommend using a "self-talk diary," a notebook (or recording system) in which to note down any negative or critical self-talk we catch ourselves using. All those messages to ourselves hide our deepest beliefs. An example would be you telling yourself... 'I will never get the promotion because nobody likes me,' which is another way of telling yourself that you're not likeable or worthy. Identify all the labels you give yourself in order to understand why your self-esteem is so low. Those are the messages you keep on telling yourself. Are you surprised you feel insecure? Do this for at least a couple of weeks. Once you identify your beliefs (through those labels and messages), ask yourself wether they empower you or limit you and if you wish to keep them. If you decide to let them go, you will need to find a replacement, as no belief can be simply erased. In order to find a replacement, look for a message that cancels the previous one and start repeating it to yourself. There is one important rule here: the new message can not be the opposite of the previous one, because your brain will just not believe it. It needs to be one that partially cancels it, opening a new avenue for you. Using the same example as before, you might have been telling yourself that you're not likeable. Your new message could be something like, "some people like me," or "I sometimes like myself," or even, "there's a lot in me to be liked." Once you repeat it often enough, you might start feeling it come true. At that moment, celebrate the feeling. The more you do this, the easier it will be for you to start accepting the new belief and replacing the old one. Warning: question and change only one belief at a time and don't start on a second one until having worked on the first one for at least two weeks. 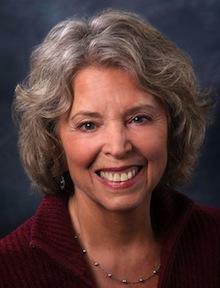 Questioning too many beliefs simultaneously can lead to crises. Fifth, use tool number 4 to also question yourself about your beliefs regarding competition and success. What do you believe about them? What are your expectations? What messages do you give yourself? Do they empower or limit you? Do you want to keep them? Feeling overwhelmed is extremely prevalent and limiting. Use this information to start understanding and managing the reasons behind your feelings and things will quickly start changing for you. You have the power to change the way in which you interpret your circumstances and your reality. Start letting go of those limitations and take better control of your life. The process described above is a summary of many of the techniques and strategies used in humanology and should best be implemented with the help of expert humanologists, the professionals that study and explain human beings. Get our latest articles delivered straight to your inbox! Learn How to Respond Rather than React? Please take a moment to comment below. If you enjoyed it please share with your friends.